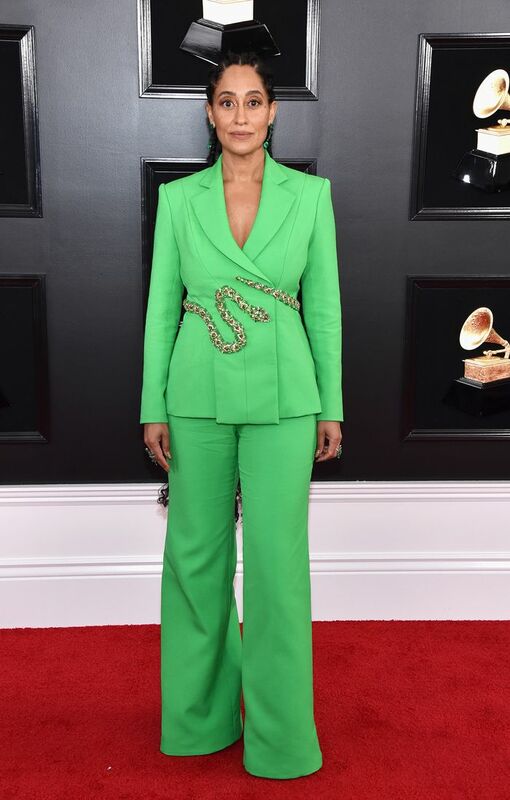 WHO WORE WHAT: Grammy awards 2019 list! On Sunday, the music industry’s biggest names gathered at the Staples Center in Los Angeles, California, for the 61st annual Grammy Awards. Since the stars are allowed to take the risk of wearing something unique in Grammys unlike the Oscars, the stars have done exactly the same. In case, you missed the show, we rounded up the most memorable looks stars wore to the 2019 Grammys below. Wear: Flowing pale pink gown with tons of billowing tulle at the skirt with red belt. Wear: Texas-inspired ensemble with black shoes and a white hat. WEAR: Brown suit, double-breasted jacket with a red shirt underneath.